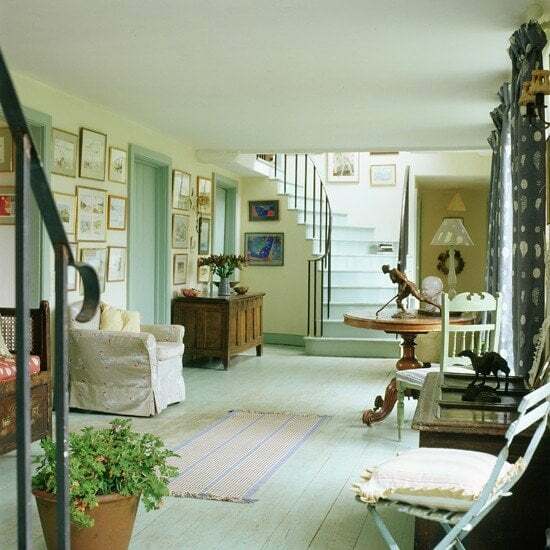 One of the best decorating ideas is using painted floors. Add a color scheme that screams Rockstar and you've created magic! And that's exactly what you want.. a home or apartment with magic. So, 10 more reasons to paint your floors. Painting can be finished over a weekend. Paint and brush and you are away. It's less expensive than carpeting and staining hardwood floors. You paint floorboards, concrete or vinyl. Color and design can look traditional or modern, vintage or elegant. Painted floors can take heavy traffic and look better with age. Perfect for small spaces. Makes rooms like entry, bathroom or hallways stand out as design features. Creates focal points in dead spots. You can use stripes, plaid, diamonds or stencils to add large-scale patterns to a floor. A painted floor is easy to maintain using soap and water. MyHomeIdeas.com has some great ideas for painted floors. The video below also has decorating ideas to inspire your painted floors. ThisOldHouse.com has a step by step tutorial How to Paint a Wood Floor or read our previous article Painted Floors – Coolest Ways for Painting Floorboards for painting and stenciling plywood. 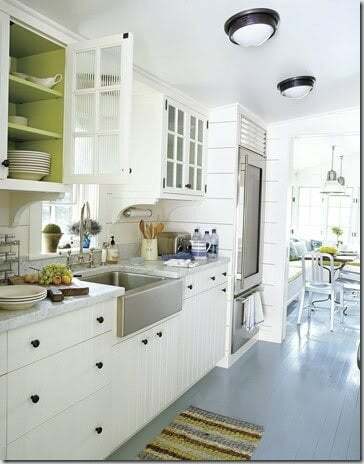 Horizontal or vertical painted stripes gives a small room the illusion of more space. Your color scheme will depend on your furnishings. Smaller areas like hallways can handle larger patterns. 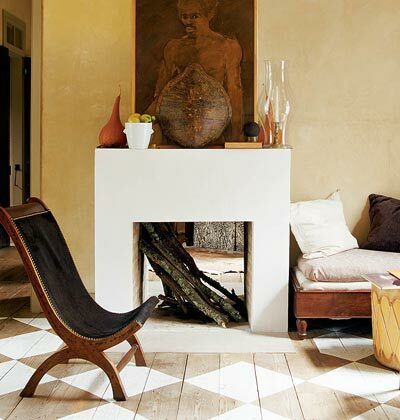 Bold and geometric decorating ideas add personality to areas often neglected and under-decorated. Dark baseboards define a room and ground a color scheme. You can fool the eye into believing a border extends beyond the room. 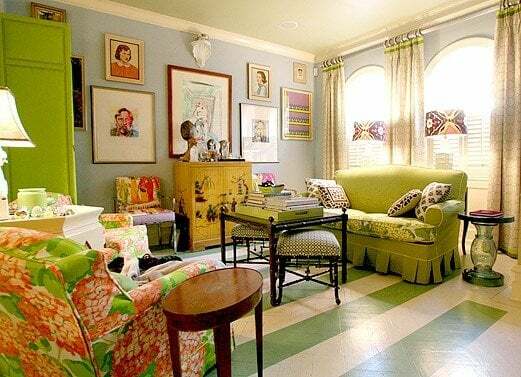 The checkerboard painted floor is rooted in decorating tradition. 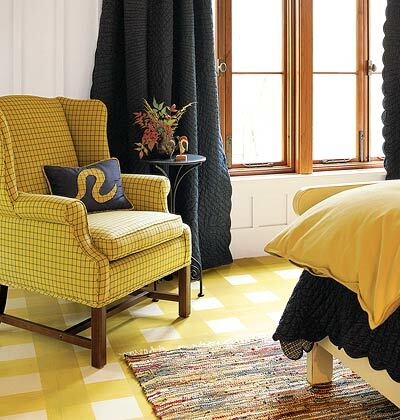 Update the classic checkerboard with an oversized diamond pattern and unusual color scheme. Choose pieces of furniture with simple shapes and clean lines that neither clash nor compete with the floor. A minimal approach draws the eye to the pattern. Doesn't this look great! Using fabrics in a room to create a similar patterned painted floor echoes the color scheme and design and supports a simple and blended look. Limiting a palette to only two or three shades, pulls together all the elements with a coherent visual statement. I love this look! A solid wash of color; bright, light or white only gets better with age. Repeat the color throughout the room, window sashes and even furniture. YoungHouseLove.com, Lifestyle.com.au, and HousetoHome.com have tutorials and more ways to create inspired painted floors. If you have any ideas for painted floors, new color schemes for painting floors or decorating ideas please leave a comment below. You can follow my Floorboards Pinterest board here.